Over the years, Professional Healthcare Resources has provided care for a number of specialized needs. Our specialty programs are designed to provide the added assistance that these conditions require, so we can achieve optimal care outcomes for the patients we serve. If you have questions about our specialty programs or have an acute medical need you do not see listed below, please contact us. We are here to help! Individuals living with congestive heart failure are more likely to be readmitted to the hospital. Our Heart Failure Program is designed to reduce readmission rates through education, monitoring, and support. We take a multidisciplinary approach, and our staff works closely with the patient’s physician to develop a detailed plan of care that addresses the individual’s needs while empowering them to take an active role in their care. Our diabetes care program focuses on the monitoring, treatment, and education of patients living with Type 1 and Type 2 diabetes, with the goal of improving comfort and quality of life. This program is beneficial for patients who experience frequent hospital admissions, have diabetic wounds or foot ulcers, are new to insulin therapy or are managing multiple new medications, and those with underlying conditions that can further complicate diabetic care. Every year, nearly one million Americans undergo a total hip or knee replacement. Recovery can be difficult, especially for older adults, and the best outcomes are achieved only through proper post-surgical care and therapy. 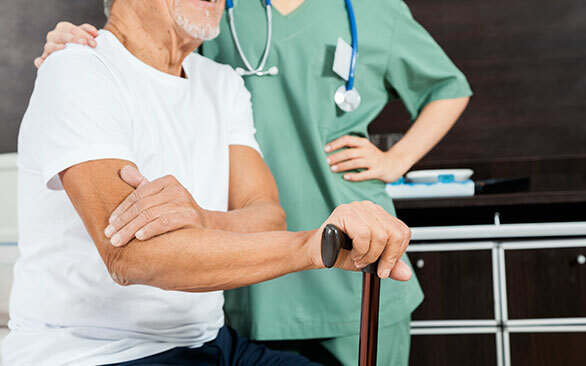 Our Joint Replacement Program is focused on implementing the orthopedic physician’s orders for care with physical therapies and rehabilitation. So, you can recover and return to your active lifestyle. Treating and healing wounds can be a complex process. At Professional Healthcare Resources, we take a holistic approach to wound care, treating the affected area, addressing the underlying cause of the wound, and focusing on the patient’s overall health. Our nurses are wound care specialists, who will provide ongoing assessments, progressive treatment, and patient education. According to the Center for Disease Control, more than one out of four adults over age 65 falls each year. Our Fall Prevention Program aims to reduce the frequency of patient falls and subsequent hospital readmission for fall related injury. We accomplish this through comprehensive fall screening, home assessment, strength and balance therapies, medication review, elder care services, and more. Professional Healthcare Resources is pleased to offer a comprehensive Alzheimer’s Program, implementing the Becoming an Alzheimer’s Whisperer approach to care. This unique and effective approach focuses on “entering the world” of the individual with Alzheimer’s, calming their fears and providing supportive elder care. Specialty Programs are available throughout Virginia, Maryland, and the Washington, DC metro area, including: Alexandria, VA; Annandale, VA; Arlington, VA; Bethesda, MD; Baltimore, MD; Lanham, MD.